With the holidays quickly approaching, taking time to enjoy a cup of tea is a guilt-free pleasure that lets you pause and relax during busy, sometimes stressful, days. Plus it's good for you. People have been drinking tea for thousands of years. 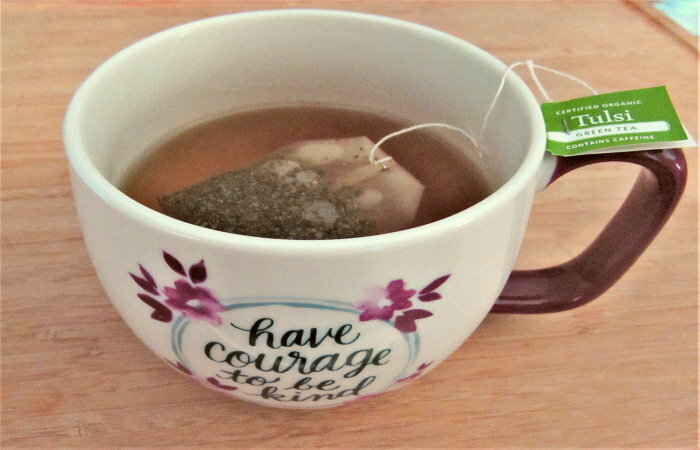 Tulsi tea, which originated in India, is known for its rich antioxidant and adaptogenic properties that are thought to promote health and wellness by reducing stress, enhancing the body’s immune system, and promoting mental acuity. Because of its healing properties and health attributes, tulsi is recognized as one of India's most sacred herbs. The herb's natural antioxidants protect cells from the damage caused by free radicals which promote the cause and progression of various diseases. Many consumers have become knowledgeable about the benefits of tea and are choosing it as their primary beverage. In addition to some obvious health benefits, recent studies seem to suggest that there are even more. Research studies over the past decade appear to verify that all varieties of tea can be a significant boon to a healthy lifestyle. In 1990, the Food and Agriculture Organization (FAO), an agency of the United Nations, announced the beginning of a worldwide campaign to encourage tea drinking, especially among young people. The FAO said that tea was not only a beverage with no health risks but also determined that tea had medicinal qualities. The positive effects of tea drinking on health were emphasized during their 1990 meeting of delegates from 27 countries. Additionally, the World Health Organization publicly began promoting tea drinking as part of a healthy lifestyle. Tea contains powerful antioxidants that function as free radical scavengers, helping to support the immune system. 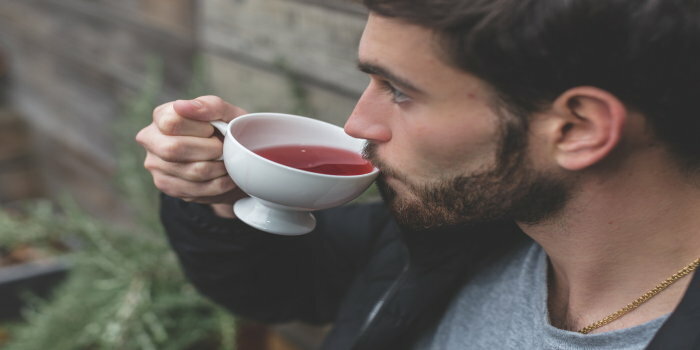 There is some evidence that drinking tea with a meal aids in digestion. Research shows that tea may also provide cardiovascular support. L-theonine, an amino acid found in tea, is widely recommended for sleep and relaxation. The moderate amount of caffeine in tea, about one-third that of coffee, means that by comparison it's only mildly stimulating. 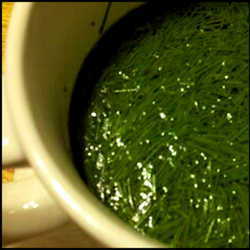 Early scientific studies of green tea were presented at the American Chemical Society’s convention in New York in 1991. The materials from this symposium were later published in the New England Journal of Medicine. 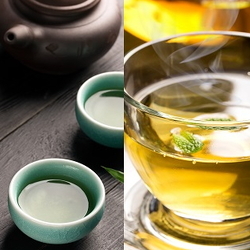 The first scientific research showed that the polyphenols present in tea, and in greater strength in green tea, act as antioxidants and can combat free radicals that cause damage to healthy cells. Since the 1991 findings, research into the scientific basis of tea health benefits shows early evidence that the tannins present in green tea may diminish the activity of trypsin, an enzyme that breaks down protein and allows amino acids to become involved in energy and cell building. Green tea is particularly known for increasing metabolic rate and is known to be thermogenic. Many herbs and spices used in tea blends have been known for their medicinal properties for centuries. Since it is not made from the leaves of the tea bush (Camellia sinensis), tulsi tea is not technically a tea in the traditional sense. 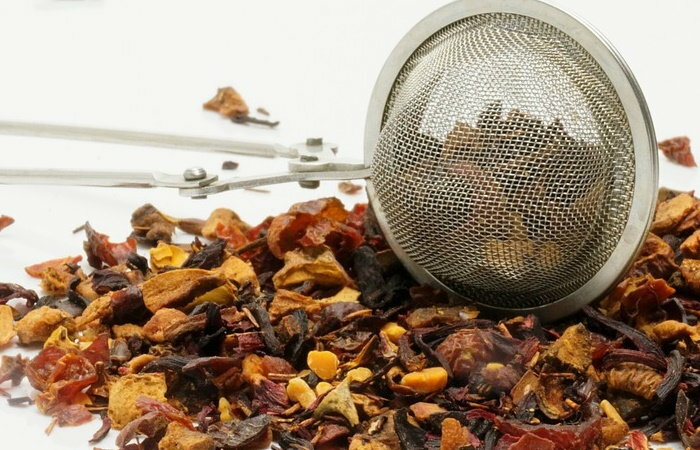 Rather, it is an herbal infusion, or tisane, that is brewed in the same way you would prepare a cup or pot of black, green, oolong, or white tea. Recognized for its taste and health benefits, Tulsi tea contains hundreds of compounds known as phyto-chemicals that work together to create strong antioxidant, anti-bacterial, anti-viral, and immune-enhancing properties. As with other herbal infusions, tulsi is caffeine-free and contains vitamins A and C, calcium, zinc, iron and chlorophyll. Click here for more information about the health benefits of this beverage. 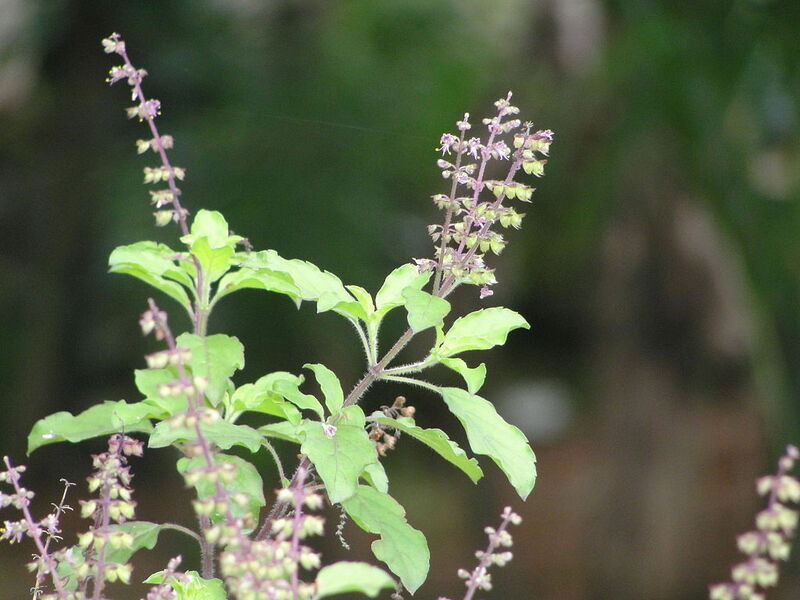 Tulsi is often referred to as the "queen of herbs" and has been an integral part of India's holistic health system of Ayurvedic medicines for thousands of years. Health benefits of the tulsi plant's leaves were documented as early as 5000 BC. The tea can be made with any or all of the four types of tulsi plants: Rama, Krishna, Vana, and Kapoor. The leaves are often blended with regular tea (which does add some caffeine) or other herbs and fruits for additional flavor when brewed. Tea infusers like the ones shown below range from simple to whimsical. 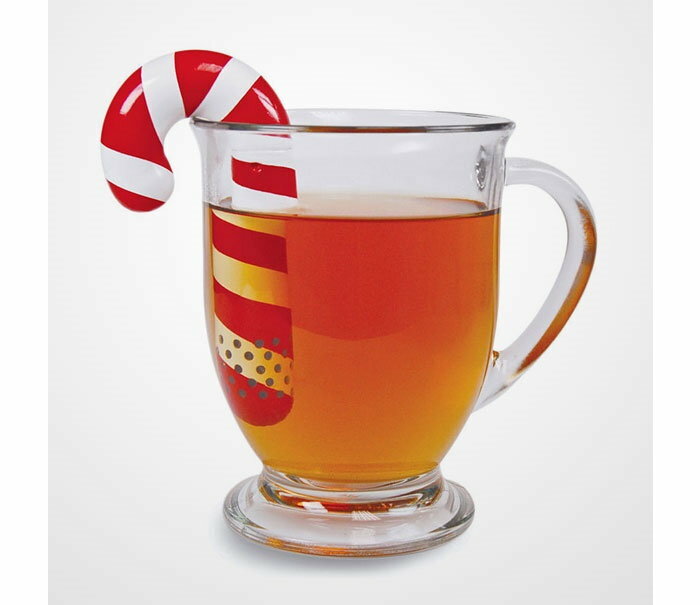 They're inexpensive and make great gifts or stocking stuffers for the tea lovers on your holiday shopping list. 1. Put all the herbs in a quart jar. 2. Fill the jar with cool water and cover tightly with a lid. Shake well. 3. Place in the refrigerator for 4 hours or overnight. 4. Strain off the herbs. Use within 36 hours. If you don’t have access to fresh tulsi, you can use 1/4 cup of the dried herb. Dried marshmallow root or leaf (Althaea officinalis) can be substituted for the fresh mallow. One teaspoon of dried hibiscus can be used in place of the schisandra berries. 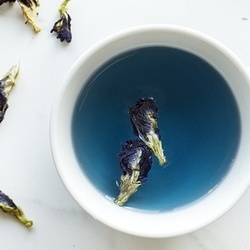 Intriguing Butterfly Pea Tea The Amazing All-Purpose Pine Needle Tea Black, Red, White, Green: What's Your Cup Of Tea?